Found 16 file extension associations related to Armored Fist 3 and 5 file formats developed specifically for use with Armored Fist 3. 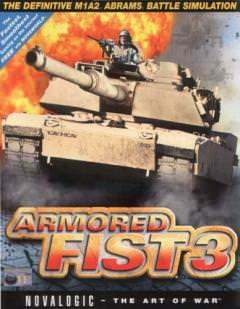 Armored Fist 3 is a tank simulation computer game developed by NovaLogic in 1999. Crush Vehicles and Buildings as the M1A2 rolls over obstacles with impunity, leaving only the track of its tread path behind. Devastate hordes of advanced AI infantry with your turret mounted M2 50 Caliber machine-gun or simply run em' over with your 70. If you need more information please contact the developers of Armored Fist 3 (NovaLogic, Inc.), or check out their product website.